Email marketing has the potential to generate unmatched ROI for your business, but figuring out how to optimize your strategy isn’t always easy. There are lots of moving parts to keep track of, from tools and campaigns to analytics and testing. All of these separate parts must come together somehow to make your email marketing work. That said, there are a few common obstacles that often stand in the way of getting your best results from email. To help you keep track of some common pitfalls, we’ve compiled a list of the top 10 email marketing mistakes that are costing your company revenue. Are you creating email campaigns and not telling your subscribers what to do with the information you give them? If so, you’re missing the point of creating a campaign in the first place – to reach a particular goal. If your emails don’t help you move toward that goal, they’re pretty much pointless. They’re a waste of time and resources. Luckily, it’s easy to optimize your emails to accomplish whatever you want to achieve. You can increase your website traffic, convert subscribers to leads, increase purchases, or get people to download your new ebook. All it takes is persuasive email copy along with an effective call-to-action! You can also think of a call-to-action as a clear goal for that particular email. Just ask yourself: what do you want subscribers to do with the content in the marketing message? That should be your call-to-action (CTA). For instance, in this email from Chatbooks, the goal is to get customers to make a purchase. The company has a coupon code to help spur people to this action, so they used that enticement as the CTA text (“Save 20% Today!”). If you’re not segmenting your email list, you’re missing out on an easy way to send more personalized emails to each subset of your subscribers. For example, maybe a subset of your subscribers uses your service far more than others. Maybe you have a different subset of casual or beginning users, too. If you send the same emails to both groups, you’ll risk alienating them both with messaging that’s too broad and doesn’t resonate with their interests. By contrast, if you send each group personalized emails, you can speak to them on deeper, targeted levels, which may equal more action from them on your CTAs. Are your emails focused on your readers, or are they focused on you, your business, and your goals? If you’re in the latter camp, you’re making one of the biggest marketing mistakes: forgetting your audience. This is a big problem because your audience doesn’t care about things that don’t involve them. They want to know what’s in it for them, and if you don’t spell it out, they’ll lose interest. According to BigCommerce, email automation is one of the most effective methods for email marketing. It helps you engage with customers at exactly the right moment when they’ll be most receptive to your marketing. Here’s how it works: if you want to send new subscribers to your newsletter a welcome email or a series of emails, you create one email campaign designed to introduce them to your website and your best content or products. The email is triggered once the requirements are met (in this case, whenever someone new signs up for your email list). 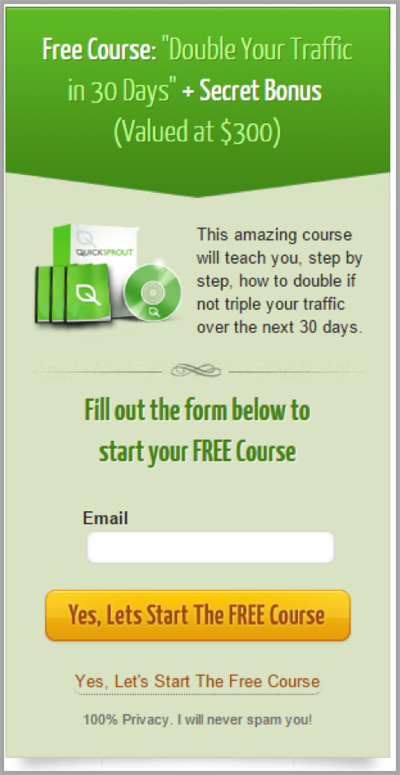 In this vein, you can create all kinds of automated email campaigns. You set the criteria for the trigger, and when those criteria are met, the prospect will receive a targeted, personalized email at the exact right time. Less work for your team, more reward for the entire company. And, according to data from Statista, personalized marketing is what users crave. 90% of respondents to an April 2017 marketing survey said they find personalized messages either “very appealing” or “somewhat appealing”. It’s easy to neglect your email subject lines after spending time and resources crafting a beautiful email. After all, you’ve optimized the content for results and subscribed to all the best practices for email marketing, so you’re sure to see results, right? If you neglect your subject lines, you could lose out on critical opens, which means your subscribers will never even see, read, or interact with your emails, regardless of how well they’re designed. That’s bad for your email marketing because it means a wasted budget and wasted time. Instead, take the time to craft compelling email subject lines so your messages are irresistible from the very moment they hit your readers’ inboxes. Mobile internet traffic accounts for over half of all internet traffic, according to StatCounter. That number surpasses traffic from desktop computers and tablets. In other words, if you’re not optimizing your email marketing for mobile users, your messages will render poorly and not work on the majority of their devices. Not only are your subscribers likely to delete your email then and there, but they are also less likely to open your next one. If your email campaigns consist of nothing but images, you have a problem. It’s this simple: lots of email users have their images turned off, which means they won’t automatically load in their browser. If your email is all images without text, the user won’t see a thing, and they’ll move on. How often do your subscribers want to hear from you? Not asking this question is yet another major email marketing mistake. Turns out, sending emails strategically isn’t about guesswork. It’s about paying attention to your target audience and segments, listening to their preferences, and offering options that cater to them. For example, many brands offer a preference center for their list subscribers, allowing users to determine how frequently they receive emails. Once you start collecting this data, you can easily break your list into segments and use automation to follow-through, delivering exactly what your customers want. The size of your email list doesn’t matter as much as how many of those people are truly interested and engaged in what you have to tell them. If your list is bloated because you have a big percentage of inactive subscribers, that doesn’t help your bottom line. What does help your bottom line? Active, engaged, interested subscribers. To that end, it’s a good idea to clean up your list every now and then. Think of it as “cleaning house.” When you prune your list and remove those who aren’t engaging with your emails, you’ll be left with the true fans of your brand and a much more powerful tool for marketing. Number 10 in our list of the top 10 email marketing mistakes: not A/B testing your emails. Testing your emails is one of the simplest ways to gather data about your audience’s preferences. Once you know what designs, images, text, and CTAs are most appealing to your readers – you can build on this knowledge to create even more powerful, compelling, and exciting emails. 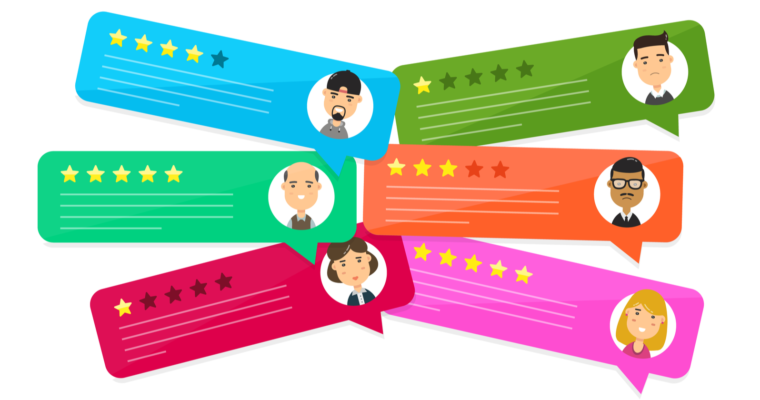 According to a report by Econsultancy and IBM, 33 percent of top marketers surveyed said that having the right technologies for data collection and analysis is key to understanding your customers. At Networking Bizz, we successfully build brands, always having our clients’ best interest in mind. We’re committed to finding the best possible ways for our clients to engage with their customers and get the highest possible ROI along the way. Our team of highly proficient creatives successfully combines strategy, innovative ideas, and experience to offer compelling, winning digital solutions and deliver measurable results that exceed all expectations. Specifically, we excel in on-page and off-page SEO and PPC and we have a track record in increasing search engine rankings to prove it. We’re honored that our hard work has been recognized by SEO Tribunal. On their list highlighting the best SEO agencies in Los Angeles, Networking Bizz has been ranked among the best. Aiming to become the best resource for business to find the right SEO agency, SEO Tribunal is employing a specific evaluation method to weed out the scam SEO companies and offer only the best ones to their readers. Their in-depth ranking process when choosing the best SEO agencies includes a number of factors, both quantitative and qualitative. The focus is on assessing companies’ project management methods, techniques, and performance, but also on evaluating client references, case studies, and testimonials. We are proud to say that our company has met SEO Tribunal’s criteria and got its place among the best SEO companies in LA. We’re also excited about what’s yet to come and we look forward to continuing our presence on SEO Tribunal’s list. If you want to help our goal, leave a review for our company at SEO Tribunal. Netflix didn’t become the most popular streaming video subscription service by accident. Clearly, it hired smart people to run its analytics, content strategy and customer-experience initiatives to grow its subscription base, all the while reducing churn and cancellations. This media services provider has also mastered the use of social media to gain attention for its shows (sometimes controversially so) and connect with fans. As of July,17, Netflix had more than 130 million paying subscribers, according to Statista. It added over 7.5 million new subscribers between Q4 2017 and Q1 in 2018. Amazon Prime, Netflix’s closest streaming competitor, has only 100 million subscribers. In just one quarter, Netflix added half as many new subscribers as another streaming competitor, Hulu, has total subscribers (pretty incredible). Netflix has made a growth push into new markets: It has customers streaming and watching content in over 190 countries. Along the way, Netflix has pushed the envelope and made some controversial moves. Its original series 13 Reasons Why was boycotted and slammed by reviewers for what they said romanticized suicide and depression. Then, last December, Netflix generated negative publicity with its Big Brother-esque creepy Christmas movie tweet in which it shared detailed information about its customers’ viewing habits, while cruelly poking fun at 53 people who watched a Christmas movie 18 days in a row. Let’s not forget the company’s price-hike scandal of 2016, after it had promised certain customers lifetime subscriptions. The result: lawsuits and nearly 500,000 cancellations. Perhaps the company’s biggest controversy was the ban it issued against people who wanted to use location-masking software such as virtual private networks (VPN) to stream content from the app. The Netflix VPN ban caused quite a few customers to call for a ban, via social media, and say they were deleting their accounts. People use VPNs to access content that isn’t available or hasn’t launched in their region from Netflix. And while Netflix has tried quite hard to enforce the ban, according to data from the site The Best VPN, around 70 percent of VPNs have found ways to bypass the Netflix ban. The company is still fighting this. Since 2015, over 30 million subscibers have been logging-in and streaming the service using VPNs or other location-masking software, according to The Guardian. Since enacting the price hike and VPN ban, regardless of the associated uproar, Netflix has added over 40 million new paying monthlty subscribers. So, you may be wondering, what does Netflix do differently to achieve these kinds of results? What is the special sauce or secret to this growth? Aside from the fairly obvious factors, such as its having built a useful and popular (some say addictive) product, and constantly reinvested its profits into creating new content and licensing deals, the company has mastered marketing to what I consider a genius level. 1. Even great social media will not save a crappy product. Besides maybe Google or Facebook, Netflix has made it through more scandals than most companies. The events I’ve described have brought a barrage of litigation, loss of subscribers and discontent among portion of its customer base. Netflix’s CEO, Reed Hastings, known for taking risks, hasn’t been fazed by the backlash. Of course, marketing approach is one thing; then there’s the actual product. Recently, Digital Trends conducted an in-depth comparison of the streaming service providers and Netflix came out on top, winning in five out of seven categories (price, content library, supported devices, ease of use and video quality). This confirmed Netflix’s position ahead of its competitors in terms of subscribers looking for binge-worthy content. Even though recent data has suggested that 80 percent of Netflix viewership comes from licensed movies and TV content, original breakout hits like Stranger Things have caught the big news headlines and accounted for the remaining 20 percent. 2. Don’t fear showing a real and authentic voice. Netflix is a brand that shows you can make connections with an audience using an authentic voice. While some legacy brands have strict policies about interacting with followers on social channels, Netflix takes a different approach and likes to have fun by taking a more casual and playful voice. “One more episode” – You, lying straight to your own face. Apparently, the @Netflix account is positioning itself as one of its subscribers’ friends in its posting and retweets — as opposed to being like a brand trying to sell you something. To its fanatical audience, Netflix doesn’t feel like just another huge, untouchable corporation afraid of lawsuits. If you roast Netflix, it will roast you back. 3. Social listening should be an important part of your strategy. Ever hear of Netflix socks back in 2015? This was a project Netflix created when its data showed that many of its users were falling asleep while binge-watching a show — I’ve done it myself. Netflix then worked with an agency called Deeplocal to cement its position as an industry innovator, and communicate to viewers that they controlled the company’s programming: It developed smart socks that used an accelerometer to detect when users fell asleep. The technology sent a signal to the user’s TV and paused the show so that the watcher did not wake up several episodes ahead. The project was a hit and won a Shorty Award in 2016 for its creative use of technology. The gimmick was also written about by major news sites and went viral on social — generating an average 1,175 tweets per day from over 20,000 accounts — resulting in totally 300 million social impressions. In this way, Netflix further reinforced how innovative and cool an entertainment company it was, and is. It also showed its role in active social listening, having heard complaints from annoyed customers falling asleep during its shows and posting about it. 4. Every company cares about the numbers, but successful companies look beyond them. Of course, marketing and social media can seem like a numbers game, and all successful brands try to interact with their audience and post regularly. But in 2018, it takes more than just showing up on these platforms to succeed. Another key takeaway from Netflix’s approach here is its focus on quality over quantity. That means its clever and witty style on posts, how it responds and engages its audience and the quality of its tweets. It’s pretty obvious that Netflix is not simply tweeting to meet a target. A lot of creativity goes into these tweets, which are crafted with thorough understanding of the company’s audience. See for yourself. 5. Find a way to encourage sharing of your content. Another Netflix strategy for social media success is how the company makes it so natural to share its content across social media. Aside from creating interesting content that lends itself to social sharing, Netflix makes that content easily shareable and encourages people to share it with friends. The article highlighted how Netflix had even created a landing page of funny gifs, with the title “Give your friends that extra push” to encourage sharing. Its Twitter accounts are also funny and relatable, which makes people enjoy following them. Netflix takes a different approach on Instagram and Facebook, since these platforms are more visual. And, a lot of the content created for those accounts shows either interviews, actor selfies taken during filming or behind-the-scenes photos of original shows — all intended to be teaser ads and promotions. The bottom line is that Netflix does a lot of things well, and it did not become the streaming industry leader by chance. It has a rock-solid marketing strategy that prioritizes relating to its fans and target demographic. Startups and established businesses can learn from these takeaways and siimilarly engage their own audiences on social media. The key here is that millennials, and in fact all demographics, like brands that are fun and approachable. For example, one of Unbounce’s gated content campaigns managed to achieve a conversion rate of 45% – leading to more than 23,000 leads. On the other hand, an incorrectly implemented content gate can cause huge issues – alienating customers and sending them searching for somewhere else with ‘free’ content. Although the subject of content gates can be very divisive in our industry they are, at heart, a strategy. Similar to any other strategy, they can succeed with the right planning and foresight. When it goes really wrong though, we can learn vital lessons about how to improve our own content gates. Just look at what happened when EA (Electronic Arts) tried to restrict access to Darth Vader. Although many would equate content gates to written pieces, anything which puts something behind a paywall can be considered as one. When EA announced the video game Star Wars Battlefront 2, they made the controversial decision of restricting access to ‘hero characters’, such as Darth Vader. To play as the iconic villain, Star Wars fans would have to play the game online for 40 hours. Alternatively, they could pay extra money to speed up the process. However, this only unlocked one hero, they would have to repeat the process to gain access to the other fan favourites. The reaction from fans was overwhelmingly negative – especially on Reddit. A representative of EA even commented on the forum stating the high unlock times were to provide a “sense of pride and accomplishment”. That comment is the most downvoted in Reddit history. Often internet-based anger doesn’t have many repercussions. However, this began to affect EA when fans started cancelling their pre-orders in the thousands. Eventually, the company announced they were reducing the unlock times of hero characters by 75%. Although an attempt to placate the fans, the damage was very much done. Less than two weeks after the game’s release, EA’s stock value had declined by $3bn. Furthermore, compared with the first game released two years previous, physical game sales of Star Wars Battlefront 2 were down by 61%. Months after the release of Star Wars Battlefront 2, EA relented. The company removed the content gate and purchasers would now only be able to pay real money for cosmetic items. Furthermore, the incident has sparked a worldwide debate about the ‘loot box’ system (where gamers pay money for additional in-game items) and some countries have even decreed the practice as illegal. What can we learn from EA’s content gate? It is vital to understand your audience before implementing a gate. As well as deciding if these people will accept it and how useful it will be to them, you must put yourself in their shoes and determine if you would adhere to the content gate yourself. For example, I doubt EA’s executives would have been willing to play an online game for 40 hours – per character – or pay extra to get them unlocked. Star Wars fans have grown up with the franchise. Although its legacy has led to a new generation, the average fan is a 34-year-old male. They have commitments, jobs, families. They definitely won’t want to spend 40 hours on an online game to gain access to a character. In a similar fashion, generations have grown up with video games and – although a popular hobby, the average age of a gamer is 35. Again, they have commitments. Is my content good enough for a gate? Content gates only work if they are barring access to something truly sensational. If there is something better out there, which is free, your customers will go to that alternative. It’s time to be honest with the finished product and decide if it deserves a gate. Just remember there is no shame if it doesn’t. It can still perform admirably as free content. Alternatively, it can be improved. What is the purpose of my content gate? Although EA implemented a content gate for the purposes of income generation, there are several purposes to content gates. For example, it can capture emails, focus on lead generation, or advertise other articles of interest. Not all content gates have to be about generating income. Whichever option you decide just has to be the right fit for your audience. As well as these, consider how a content gate fits into your wider strategy, think about what to do with sign-ups, and decide if a content gate is going to completely or partially prevent access. Just, whatever you decide to do, always consider your audience. Otherwise, your content gate could go terribly wrong, potentially affecting your partnerships, bottom line, and customer trust. When does a sneaker become more than a sneaker? What makes a consumer choose one seemingly identical gown or coat or swimsuit over another? Emotion. Branding at its best, speaks to its intended audience like a BFF – it, like, really gets you. And in fashion, it stands up for you, becoming the outward-facing expression of your personality. “Fashion is an outside expression of who you are on the inside. So branding is everything for fashion. It’s how you shout to the world: if you’re like us on the inside, you might express that in the same way on the outside. For us, in production, it’s with ethical textiles, treating and paying workers fairly, fittings with an all female team trying things on our bodies. It’s serious, it’s playful, it’s geometry, it’s nature. It’s vintage-inspired and the future too. We are all about dichotomies and having it all. Being vegan isn’t a sacrifice. Caring isn’t a chore. It’s empowering. When most shoppers are faced with a choice, whether to buy this black tote bag or that black tote bag, they’ll choose the one they’ve heard of. We proud ourselves in building beautiful e-commerce fashion boutique websites for our clients, with the bulk being in the fashion industry. Consumers used to pour over pages of Glamour & Vogue; now they browse online and social networks to get ideas about what to shop next. Sometimes even looking through your boutique to influence their style and wear. Lookbooks are meant to excite and inspire the viewer, by giving fantastic suggestions on the latest styles and wear. They are highly visual medium— appealing to the viewer’s senses and emotions rather than reason. It’s evident that a lookbook increases your appeal and adds credibility to your image. Lookbooks are a great way for a merchant to showcase a seasonal collection, suggest product pairings, or convey the lifestyle associated with their brand. High-quality, professional photography is number one part of any great lookbook, the way in which a lookbook is presented on a website is becoming an increasingly important part of the online fashion E Commerce experience. From creative scrolling features to interactive view modes, ecommerce web designers are finding new ways to bring the online lookbook to life. In other words, the online lookbook isn’t just about pretty pictures — it’s about creating an engaging and creative browsing experience. Why we love it: Sometimes you don’t need bells and whistles. This classic lookbook combines stunning lifestyle photography with a simple but engaging layout. Why we love it: This creative click-to-browse functionality calls to mind the flipping of magazine pages. It’s a great way to give a digital edge to an old world tradition. Why we love it: The elegantly designed graphics in the corner of each image forge a strong link between the lifestyle photography and the actual products themselves. Plus, you can easily navigate to each product page by clicking the product name in the corner. Why we love it: The parallax scroll makes browsing this lookbook a breeze. We also really like how the designer has emphasized the products by keeping them front and centre. Why we love it: Big, bold, bright, and colourful. This lookbook takes over the entire screen to showcase Triangl’s products in the best light. Why we love it: The integration of a “Shop the Look” button is a great way to entice shoppers to navigate to a product page and hopefully onwards to the checkout. Why we love it: The hover effects are a great way to engage the passive browser and encourage them to learn more about the products featured in each image. Why we love it: Not only does this lookbook have an incredibly intuitive browsing experience, but we love that each look comes with breakdown of the products featured in the lifestyle imagery. Why we love it: This lookbook takes full-advantage of the captivating power of video. Need we say more? It is already been decided that Social Media maintains an excellent potential to drive extra gross sales and leads, in addition to a new branding strategies. However did you know video content material on social media is probably the most powerful and clutter-cutting solution to get your corporation throughout the muddle? If you wish to get into video and YouTube advertising in your small enterprise take a look at these 10 fast ideas information graphic and get some good information ? The instances are a-changing. On-line media publishers are giving conventional TV networks a run for his or her cash and BuzzFeed, an early underdog, is main the cost. According to a recent study, BuzzFeed’s month-to-month attain amongst millennials far outsteps that of CBS, NBC, and FX. In reality, simply final yr BuzzFeed announced that they’re averaging 5 billion content material views per 30 days. So, how has BuzzFeed amassed this a lot success in simply 9 years? Their listicles and actually-very-good journalism are a part of the explanation, however BuzzFeed’s explosive development begins and ends with their skill to market on social media. Let’s check out the issues that BuzzFeed does higher on social media than anyone else. When you will have an enormous viewers like BuzzFeed does, you inherently have smaller groupings of people that share area of interest pursuits. For instance, BuzzFeeders love cats, celebrities, automobiles, The Kardashians, and so on. So, as an alternative of pandering content material to the lots and hoping it sticks with these which can be and some others, BuzzFeed creates social communities to foster these teams. Catering to those micro-communities on social is simply one other option to enrich your viewers and develop your affect. No person does this higher than BuzzFeed. BuzzFeed drives over 200M month-to-month distinctive guests to their net properties. 75% of BuzzFeed’s web visits are pushed by social media. BuzzFeed’s social visitors is 5x its search site visitors. Related, well timed, informative, and a GIF. I’d click on it! Wouldn’t you? I bear in mind when it began on Instagram. I noticed one thing that I believed was humorous, and I couldn’t tag my pals in it…I used to be by no means going to DM it to them (let’s be actual). So, I’d remark and point out their deal with. This appears regular now, however again within the day, this sort of habits was simply what folks needed to do. BuzzFeed was one of many first locations I noticed benefiting from any such conduct. What BuzzFeed does, higher than anyone, is encourage conversations. Whether or not they’re asking you to “tag a friend who _______” or vote on your favourite Mates character, the character of BuzzFeed’s posts are all the time the identical: conversational. A new study, printed by the College of Southern California, says that constructive feelings are extra contagious than unfavorable ones on Twitter. What’s the easiest way to illicit a optimistic emotion? Be humorous! Humor is a good way to unify your viewers on social, and BuzzFeed goals for fun 90% of the time. Even when your model is a bit bit extra stuffy, don’t be afraid to loosen up each now and again! BuzzFeed’s true triumph is simply how properly they know their viewers. They do have the posh of getting a really outlined age demographic that they’re capturing for, however catering to those individuals just isn’t all the time straightforward. With regards to your model, you must eat, suppose, and breathe like your viewers does. I imply, they only get me. This present day, your whole content material needs to be tailored to mobile. An increasing number of persons are accessing social media by way of cellular units, so we,as social marketers, must pay extra consideration to tailoring content material and interactions to those gadgets. BuzzFeed does an amazing job at ensuring that, it doesn’t matter what community or machine you might be on, you’ve got a seamless expertise. Going ahead, ensure that your content material is mobile-friendly. What different classes have you ever discovered from BuzzFeed on social? Depart them within the feedback, and obtain our 2016 Social + Digital Advertising and marketing Predictions Information beneath to be taught extra about social advertising’s leading edge immediately. On the subject of lead era, you hear the identical issues over and over…. It’s a must to drive folks to touchdown pages in your web site and have them register with an e-mail handle, as a way to obtain your gated content material. You hear it on a regular basis as a result of it really works. When you get an electronic mail handle, then you may start to “court” these leads, and also you communicate. However what if there have been different methods to get leads – methods that you could be not have considered but? Listed below are 13 intelligent lead technology techniques so that you can contemplate, so that you don’t depart any leads on the desk. Flip chilly leads into heat and even scorching ones, through the use of that vacant house under your signature. You’ll be able to really change the message in that signature area to do all kinds of issues, and make it possible for your workforce members are utilizing the identical one, relying upon what kind of lead technology you need in the meanwhile. Double up on CTA’s in your e mail. Your electronic mail could also be a proposal of some type. You possibly can have one other CTA in your signature area that can take a result in one other touchdown web page. The British Pink Cross does an amazing job of this, and you’ll learn the case examine here. However to provide you a fast instance, right here is an e mail it despatched out with a proposal for readers to make a will. Notice within the signature space, there’s a CTA to hitch their community as nicely, together with sharing choices. One other approach to make use of your e-mail signature house is to place a proposal proper there. It may flip a lead right into a purchaser on the spot. After all, you see these on Fb on a regular basis. And admit it, you do take these quizzes and also you take part in polls. You, like everybody else, prefer to see which “Frozen” character you’re or have your opinion rely someplace. But when you’ll use one in all these “hooks,” create one which pertains to your area of interest. Why? As a result of individuals who take part are prone to be a lot hotter leads – they’ve an curiosity in your services or products already. Right here is an instance of Z Gallerie’s quiz on inside design preferences. The corporate sells merchandise to inside designers. The quiz was gated, and the corporate was then in a position to follow-up with the quiz taker and make suggestions for merchandise primarily based upon their private fashion preferences. You have got two choices to show the quiz and ballot takers into leads. You’ll be able to “gate” the quiz or ballot, as soon as readers have linked to it. You possibly can promise to ship the outcomes by way of e-mail, as soon as the polling occasion has ended. You have already got share buttons in your posts. And that’s a superb factor. However until you might be doing one thing extra that can truly generate leads, you’re leaving some on the desk. Your publish could also be shared, and a brand new reader could discover it enjoyable or fascinating. However you need that reader to do extra than simply share it with others. You need that reader to optin. So, underneath your byline, provide a “free updates” hyperlink, so the reader can optin to your entire future posts. Now you’ve one other electronic mail deal with so as to add to your database. Set up sticky widgets that comply with the content material because the reader scrolls down. You desire a fixed reminder to click on to a touchdown web page for a free e-guide or trial supply, so that you could seize an electronic mail handle. On the proper aspect rail, place a small field about you, with maybe a small photograph. Have provides on that rail aspect too. 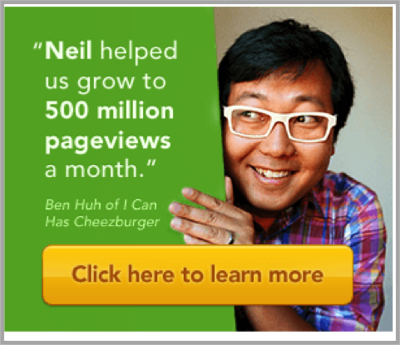 Neil Patel does a fantastic job of this on “Quick Sprout.” Right here is an instance of some issues which can be on the proper rail of all of his posts. Warning: Don’t Bait and Change. In case you are providing bonus info on a particular subject, no honest switching subjects – you’ll simply make readers offended. The entry charge, in fact, is an e mail tackle. Right here, you have to be sure that the winner will obtain one thing of actual worth – a free product is the most effective reward. 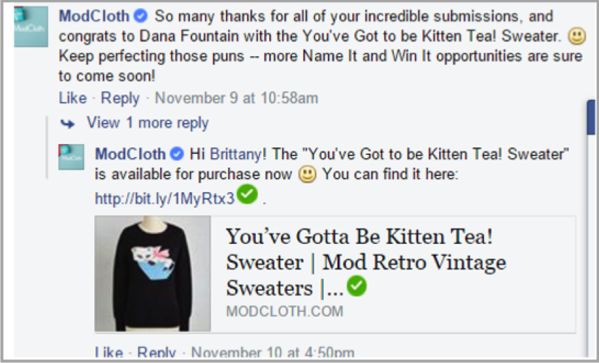 ModCloth does an excellent job of this. On any given day, you’ll be able to entry their Fb web page and discover nice stuff. They characteristic their very own prospects modeling their clothes, and conversations abound. However additionally they run contests to “name” a clothes merchandise that they’ve simply acquired. (They do title each bit they carry). The winner receives that merchandise, however, with every contest they generate new leads. Find on-line teams the place your goal clients hang around, and be a part of a number of. Begin posting 1-2 instances per week. Get some type of theme to your posts – maybe one thing humorous or inspirational – jokes, quotes, and so forth. This is only one of many lead era techniques provided by Noah Kagan of okdork.com. Nearly all of web customers at the moment are visible learners even when they weren’t earlier than. Use a video to elucidate your services or products, utilizing good instruments equivalent to Animoto. Maintain that video quick however put a CTA on the finish. Many entrepreneurs aren’t conscious that they’ll really embed CTA’s in movies, however it’s actually efficient. Individuals might not learn a publish to the tip, however they’ll watch a video to the top. 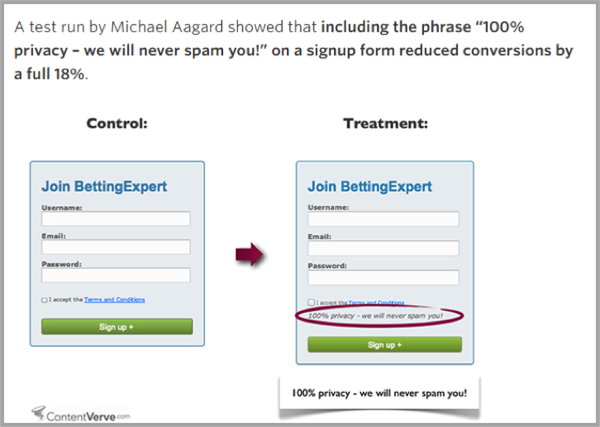 Mike Aagard, writer for ContentVerve.com did some A/B testing on conversion kinds. There’s loads of analysis on the market about these CTA buttons and what appeals and attracts. To get a full rationalization of the facility of CTA buttons try this Wordstream post. Telling tales is at all times a good way to seize readers, particularly if the tales are compelling ultimately. Jack Daniels does an incredible job of this with their reader-submitted bizarre bar tales. Readers proceed to entry their touchdown web page with these tales. You should use tales, if you’re inventive sufficient (boring tales could have a reverse impact). And, for those who publish your tales in segments, and the reader has to optin – you’ll get these conversions. Quora now has a search function. You may seek for matter key phrases, and get into feeds that relate to your area of interest. Begin answering questions and create a profile with backlinks. Eventbrite has used this tactic quite well to hyperlink again to its particular occasions. You should utilize it to hyperlink again to your touchdown pages. You may join the professional plan that allows you to acquire leads from those that have seen your slides. Listed here are solely 13 choices you could have for lead technology. There are numerous extra, after all. Simply start with Three-Four of those techniques – those who you discover best to implement proper now. Take a look at their effectiveness, preserve people who work, dump people who don’t, and transfer onto the subsequent few ways. Ultimately, you’ll have an ideal repertoire of lead producing techniques that work. Instagram simply made it simpler to juggle your public account and your secret, non-public one. Seeing a wave of notifications scroll throughout your cellphone could make you’re feeling tremendous fashionable. However you have most likely have by no means felt fairly as widespread as Instagram consumer Demy de Zeeuw. The ensuing onslaught of push notifications is equally epic — they appear to filter by on the pace of sunshine. Clearly, he should usually have push notifications for Instagram turned off (he’d by no means get something finished in any other case). Nevertheless it have to be comforting to know that when he wants a bit ego increase, he can change them on, and simply watch all of the likes pour in. When you post epic content on instagram.com/433 8 million followers, this is how your pushnotification will look like.. ☕? Each every now and then, we round-up our favorite Ecommerce web site designs. We have coated meals, style, and a miscellaneous assortment of our private favourites, however hardly ever will we get to showcase on-line shops the place the merchandise are as artistic because the design. In the present day’s assortment of ecommerce web sites options 11 gorgeous on-line shops promoting artwork and images. To refer to those web sites merely as “online stores,” nevertheless, is an understatement. They’re artwork galleries which were rigorously and rigorously organized to show every murals in the most effective gentle. Though the design is commonly minimalistic, the clear and uncluttered nature of the person interface emphasizes the aesthetics of the merchandise as an alternative of the aesthetics of the environment. And the place all that white house may appear uninteresting in every other retailer, on this case it remembers the standard clean canvas that originally impressed every bit of artwork. In no explicit order then, listed below are our favorite ecommerce web site designs showcasing advantageous artwork and images. Performance should inform business decisions and KPIs should drive actions. A performance indicator is simply a quantifiable measurement or data point used to gauge performance relative to some goal. As an example, it may be a goal for some online retailers to increase site traffic 50 % in the next year. Relative to this goal, a performance indicator might be the number of unique visitors the site receives daily or which traffic sources send visitors (pay-per-click advertising, search engine optimization, brand or display advertising, or a YouTube video). For some goals there could be many performance indicators — often too many — so often people narrow it down to just two or three impactful data points known as key performance indicators. KPIs are those measurements that most accurately and succinctly show whether or not a business in progressing toward its goal. Selecting KPIs begins with clearly stating goals and understanding what areas of business impact those goals. Of course, KPIs can and should differ for each of an online retailer’s goals, whether those are related to boosting sales, streamlining marketing, or improving customer service. GOAL 1 — Boost sales 10% in the next quarter. KPIs include daily sales, conversion rate, site traffic. GOAL 2 — Increase conversion rate 2% in the next year. KPIs include conversion rate, shopping cart abandonment rate, associated shipping rate trends, competitive price trends. GOAL 3 — Grow site traffic 20 percent in the next year. KPIs include site traffic, traffic sources, promotional click-through rates, social shares, bounce rates. GOAL 4 — Reduce customer service calls by half in the next 6 months. KPIs include service call classification, identify of page visited immediately before the call, event that lead to the call. It should be easy to see that there are many performance indicators, and the value of those indicators is directly tied to the goal progress measured. Monitoring which page someone visited before initiating a customer service call makes sense as a KPI for GOAL 4 since it could help identify areas of confusion that when corrected would reduce customer service calls, but that same performance indicator would be almost useless for GOAL 3. With the idea that KPIs should differ based on the goal being measured, it’s possible to consider a set of common performance indicators for ecommerce. Here are 32 common ecommerce key performance indicators. Just remember that the performance indicators listed below is in no way exhaustive. Once you have set goals and selected KPIs, monitoring those indicators should become an everyday exercise. And most importantly: Performance should inform business decisions, and you should use KPIs to drive actions. The oldest graphics had been drawn in caves greater than 31,000 years in the past! From the Greek phrase graphicos, graphics are the mix of images and textual content purposely positioned on a floor to convey a message. Human brains react to graphics in several methods, each consciously and subconsciously, with components of design like substances to type an even bigger image. How does your firm brand or model match into this scheme? What kind of psychology does your firm model convey to your prospects? Tell us! Click on on Infographic beneath to enlarge. Konichiwa. My identify is Sam. I run a media startup known as The Hustle, a weekly publication – think about Quick Firm meets Vice. How can I join with highly-successful individuals with none mutual connections? You see, everybody has a present. Some can paint, whereas others code. However me? I’m an introductory e-mail savant, an outreach alchemist, a salesman’s finest pal. Step 1: Discover the particular person’s e mail handle. To seek out somebody’s electronic mail tackle, my favourite device is Thrust.io. You simply plug of their full identify and firm identify and ABRACADABRA … it pulls up a number of e-mail addresses. Discover that a number of emails pop up. My subsequent step is plugging every electronic mail into Sidekick, so I see their info within the contact profile on the right-side of Gmail. I am going to additionally use Mailtester.com to confirm e mail addresses as soon as I feel I do know them, similar to how I can confirm them with Sidekick. Step 2: Ship a singular e mail following the AIDA system. Coming from somebody they’ve by no means met earlier than … why would they take the time to reply me? They received’t. They usually shouldn’t. Hell, I’m not even a giant deal, however in the event you shoot me a boring, out of the blue electronic mail proper now ([email protected]), I promise I received’t reply. How are you going to not learn an electronic mail that features a gif like that? I have been a large fan of Pandora for years and years, and have adopted you since Charlie Rose however I will make this electronic mail fast. Are you free Friday, April 24th? We would like to have you ever keynote Hustle Con, an annual convention right here in SF targeted on nontechnical cofounders. 2. Publicity – Our weblog, The Hustle, has a loyal following. A weblog submit can be written about you and seen by tons of of hundreds of customers. Plus, tech reporters shall be on the occasion. Right here is a few publicity from final yr’s occasion: Entrepreneur Journal, Quick Firm, Buffer. three. Enjoyable as hell – Earlier than the convention we host a dinner for previous and present audio system. Here’s a listing of who shall be invited … the dinner is a good way to fulfill different founders. We might like to have you communicate and can do no matter we will to make it value your whereas. And should you want anymore convincing, make certain to take a look at final yr’s spotlight reel. So … what do ya say? What can I do to make this a win for you? PS – I learn your Linkedin article about public talking this previous summer time and ended up practising a speech of mine about 100 objects in entrance of a mirror … complete sport changer. For individuals who’ve by no means studied copywriting earlier than, particularly if you’re an entrepreneur, in gross sales, or depend on convincing individuals by e-mail … READ ABOUT IT. Actually, studying this ability has carried out wonders for not solely my gross sales abilities, but in addition the best way I talk each verbally and on paper. Neville Medhora’s Kopywriting Kourse is a superb place to start out (or this post, which summarizes the concept). Consideration: Once you say one thing bizarre or state a burning drawback somebody has to catch their consideration. Curiosity: If you drop an fascinating truth or say one thing compelling. Want: If you checklist the advantages, or finish outcomes, the individual needs to realize and expertise. Motion: The decision-to-action for the receiver, equivalent to shopping for a product or saying sure to a query. Make sense? There are tons of AIDA examples on the market, so I’d extremely encourage you to learn up extra on it. Step three: Comply with up persistently and CLOSE. Lastly, you might want to follow up over and time and again. That is the half that makes some of these introduction emails doable. Persistence is EVERYTHING when making an attempt to get seen by hard-to-reach individuals. Why? As a result of they’re not going to reply you the primary time. I promise you, they received’t. As soon as I accepted that, I ended taking it personally when somebody didn’t reply after the primary electronic mail. I’d observe up many, many, many instances with somebody. For instance, I needed to observe up for six months with the CEO of Imgur earlier than he lastly obtained again to me. Persistence is all the things. Persistence is every part. Persistence is the whole lot. It took me endlessly to understand this. I used to ignorantly suppose I used to be spamming folks by following up persistently. However in actuality, if I didn’t comply with up persistently, I by no means wouldn’t gotten ANY of those CEOs to talk at HustleCon. When you take away one factor from this text, it’s that it’s a must to be ruthless about following up. I hate to repeat myself AGAIN, but it surely’s price repeating because it took me YEARS to determine this out — persistency is every part. Don’t be afraid to comply with up over and time and again. Should you do, I promise you will see outcomes. web optimization will not be an actual science. This turns into obvious when making an attempt to include each search engine optimization and branding into a method. This course of is finicky to say the least. On the one facet, search engine optimisation offers with the position of key phrases and phrases. On the opposite facet, branding offers with firm loyalty and tradition. Incorporating either side dilutes the prominence of each. However eliminating one or the opposite might not meet all strategic and advertising targets. As soon as once more, it needs to be emphasised that search engine marketing is a collection of tips somewhat than an actual science. Having mentioned that, the next suggestion can be utilized to fulfill either side of the equation. On the whole, key phrases and phrases (i.e. search engine optimisation) ought to stay the main focus of any early-stage firm, whereas the incorporation of firm branding ought to seem later within the evolution. That is merely a normal assertion and shouldn’t be taken phrase for phrase. The reasoning is fairly simple. At first, no-one is aware of the title of your organization, however maybe they’re trying to find your services or products. In different phrases, you need to goal key phrases and phrases that focus round your providing slightly than your organization. As you construct loyalty and credibility, branding turns into extra vital. It’s at this level that you could be need to incorporate company messaging to strengthen the connection with clients and instill belief in your model. One closing considered branding: if a searcher sorts within the title of your organization, they’re prone to discover your web site anyhow. That is due principally to anchor textual content and back-links. Subsequently, optimizing for the corporate identify is moderately insignificant normally.